If you’re a college student or graduate thinking of applying for admission to pharmacy school, you’ll need to take the Pharmacy College Admission Test (PCAT). This national, standardized test is designed by Harcourt Assessment and is used by schools to measure prospective students’ aptitudes and abilities to handle the rigors of becoming a doctor of pharmacology. The PCAT test is given three times a year in locations all over America. You can check with the school you’re applying to for specific dates and locations, and the information is also online, and you can register for the test online. The test takes approximately four and half hours to complete, and consists of 280 multiple choice questions. It’s broken down into five subject areas, plus an essay. They are: Verbal Ability-58 questions on analogies and sentence completion. Biology-58 items on general biology, microbiology, anatomy, and physiology. Reading Comprehension-48 questions measuring your ability to comprehend, analyze, and evaluate written material. Quantitative Ability-58 questions on algebra, geometry, probability, statistics, pre-calculus, and calculus. Chemistry-58 items about general and organic chemistry. 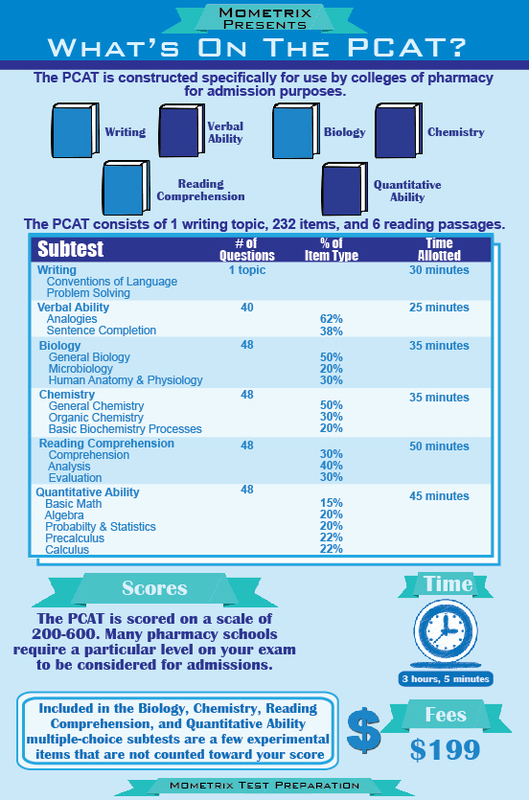 The PCAT test is scored in a range of 100-300, with the average person scoring around 200. Of course, each school sets its own standards for a minimally acceptable score, and because of the competitive nature of pharmacy school admissions, some require scores in the 80th percentile and higher. You do have the option of voiding your score before you leave the testing facility if you don’t feel like you did very well on the test. Keep in mind, though, that the test is only offered three times a year, and waiting for a retake could seriously delay the start of your pharmacy career. You and your school should receive your score about a month after you take the PCAT. Because of the importance and difficulty of the PCAT, it’s strongly advised to get a good study guide and spend some serious time preparing for the exam. 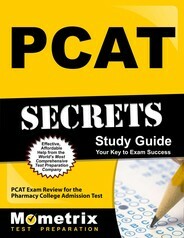 StudyGuideZone.com offers an exclusive free, downloadable PCAT study guide to the Internet community for the PCAT test. The guide is in PDF format, so you’ll need Adobe’s free Reader (already installed on most computers) to view it. Anyone is free to link to this page or the study guide on our server to let students know about this resource. Ace the PCAT test using our PCAT exam study guide with practice questions. 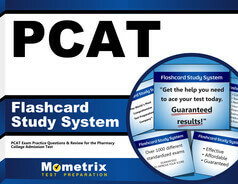 Quickly Solve Difficult PCAT Test Questions with the PCAT Flashcard Study System.